Cape Verde, an island republic in the Atlantic Ocean off the coast of Africa. The islands total about 4,000 square kilometers (1,500 square miles) in area, slightly larger than the State of Rhode Island in the United States. The islands were claimed by Portugal in 1456; they declared their independence in 1975. Throughout its history, Cape Verde has been an important commercial port, serving at various times the slave trade, whaling, and transatlantic shipping. Commerce and tourism remain its dominant economic activities. All but one of the ten major islands are inhabited; the other, Santa Luzia, is a wildlife preserve. One of the islands, Fogo, contains an active volcano. This stratovolcano (a large cone-shaped volcano, like Mt. Rainier) measures 8 kilometers (5 miles) in diameter and last erupted in 1995. 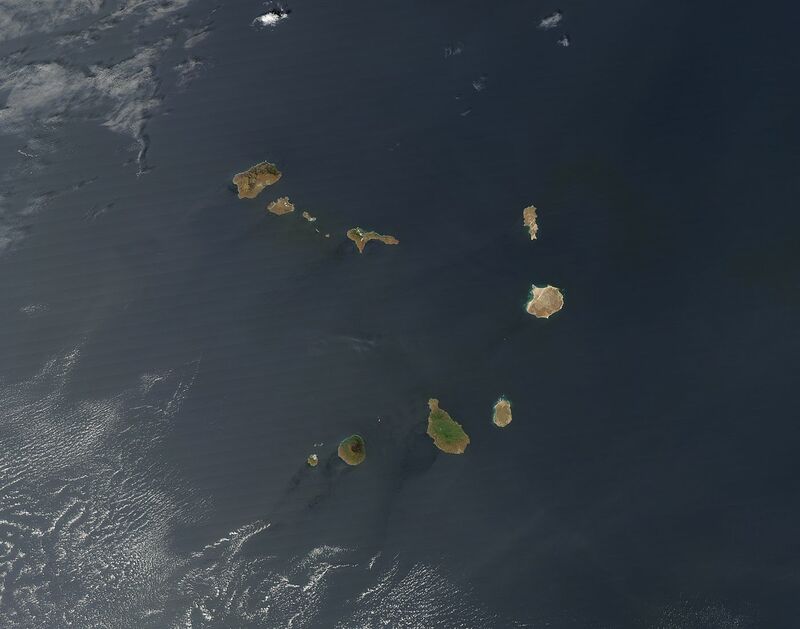 The rugged and mountainous islands have a warm, tropical climate and are often subjected to severe droughts. Cape Verde was uninhabited when the Portuguese arrived in 1460 and made the islands part of the Portuguese empire. Due to its location off the coast of Africa, Cape Verde became an important watering station, then sugar cane plantation site, and later a major hub of the trans-atlantic slave trade, that would later form the contemporary African Diaspora. 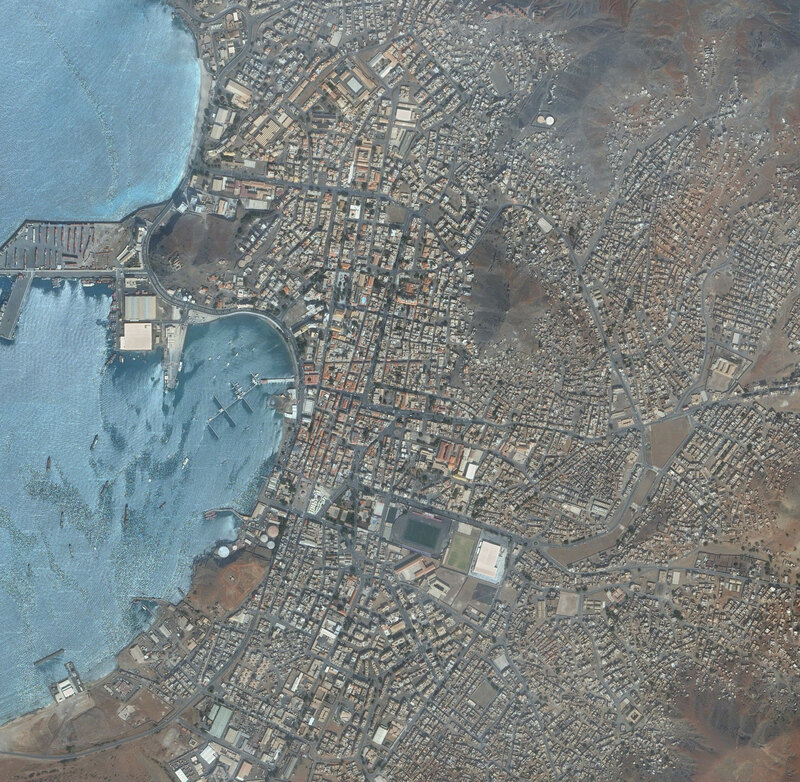 Mindelo is a port town on the Cape Verde in the northern part of the island of São Vicente. Mindelo is also the seat of the parish of Nossa Senhora da Luz, and this island’s municipality. It has a population of about 70,000 inhabitants (50,000 in the mid-1990s) and is the second largest city in Cape Verde after Praia. The town is home to 96% of the entire island’s population. Praia (Portuguese for “beach”, also in Cape Verdean Creole) population 113,664 (2005), is the capital of Cape Verde, an island nation in the Atlantic Ocean west of Senegal. It lies on Santiago island in the Sotavento archipelago. It is the island’s ferry port and is home to one of the nation’s three international airports. The city centre is known as Platô due to its location on a small plateau. Praia is located at 14°55′ North, 23°31′ West (14.91667, -23.51667). (See: ) Praia is Cape Verde’s largest city, and a commercial center and a port that ships coffee, sugar cane, and tropical fruits. Praia also has a fishing industry. There are resort beaches nearby. 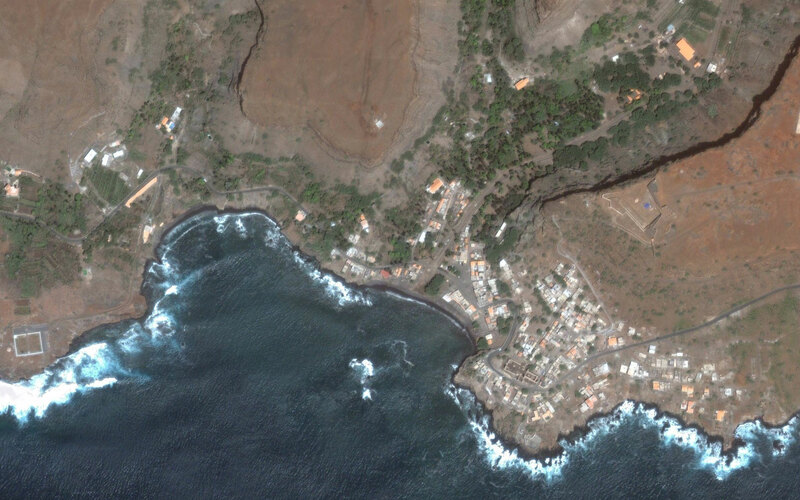 Cidade Velha (Portuguese for “old city”), or simply Sidadi in Cape Verdean Creole, is a town located 15 km from Praia (Cape Verde’s capital) on Santiago. It used to serve as the capital of Cape Verde. The name was changed to Cidade Velha to avoid confusion of another Ribeira Grande in another island. 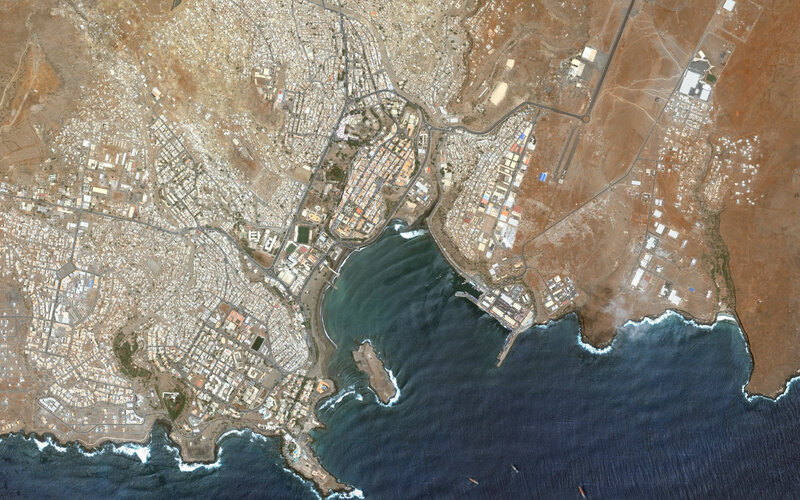 Cidade Velha is the oldest settlement in Cape Verde.